Jeff Davidson, who passed from this life to the next in 2017, had his world turned upside down when he became the father of a son with profound special needs. After realizing that God had given him a gift rather than the burden, he began to realize God was using his son to teach, inspire, and change him. Jeff was the Founder and President/CEO of Rising Above Ministries, a national special-needs ministry serving special needs families, and a contributing author to Not Alone, Comfort in the Midst of Chaos, and The Mighty. 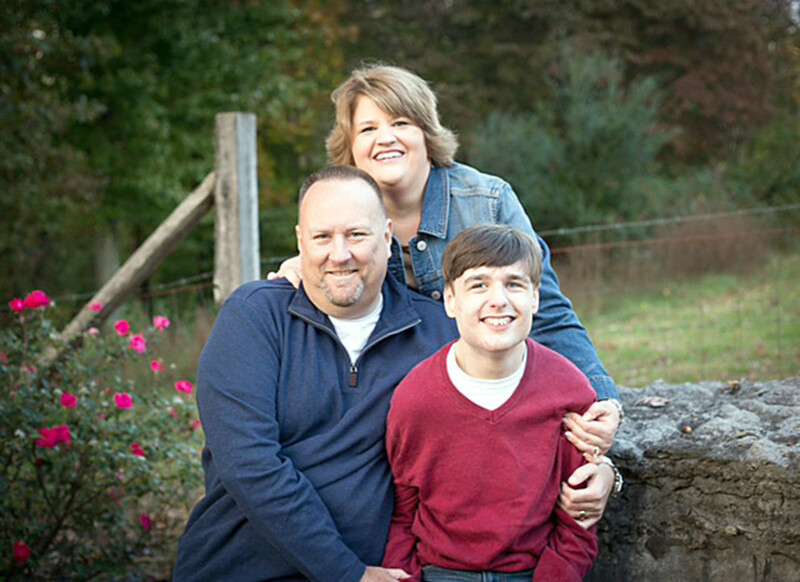 He was also a team member and special-needs writer at 1 Corinthians 13 Parenting. Jeff authored of the book No More Peanut Butter Sandwiches: A Father, a Son with Special Needs, and Their Journey with God. Becky Davidson is the wife of the late Jeff Davidson and is Co-founder, President, and Executive Director of Rising Above Ministries, a national ministry serving special needs families. Becky considers her pure joy to be raising Jon Alex despite his challenges and trials. She has a passion for pouring into moms of children with special needs and developing ministries for the whole family. She speaks passionately as someone who “gets it” herself because of her personal role in life. Becky and Jeff have one child, Jon Alex, the inspiration for Rising Above. Becky’s story is featured in the book Your Life Still Counts by Tracie Miles of Proverbs 31 Ministries. Becky and Jon Alex live in Cookeville, TN.